This has been the year of who are you and who do you think you are. For many I have spoken to, a year of self reflection, growth, preparation and development. I find it hard to separate myself from my career, and I don’t really think this is a bad thing. Designed by the mind of the Most High and Most Near, I’d assume that we are complex and deep beings. And everything we do and say is as a ripple in the ocean, a butterfly effect. 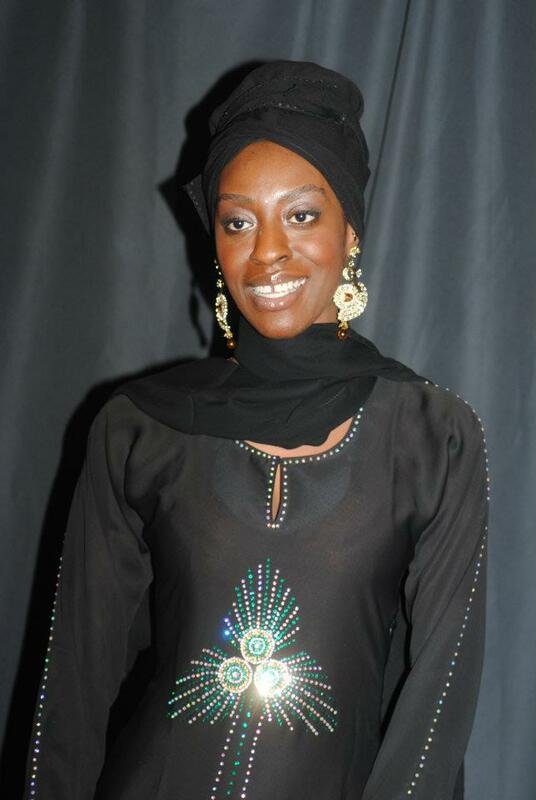 So my career, my family, my character, my talents, my mood, my prayers, my fasting, my being – all are very much related. This is why I nearly told Emmanuel that I didn’t want to write the blog and that I had nothing to say. The premise of having my 15 minutes doesn’t do much for me. I nearly told Emmanuel that I didn’t want to write this blog because it would be hard for me to write about my year, my career, my hopes, dreams, and aspirations without, in one way or another, writing about my thoughts, my opinions and thus my self. Thoughts are precious things to be valued and treasured and nurtured when productive – regardless of what Twitter tells us – and I didn’t just want to ramble on. Why would I? Like, who am I? And who do I think I am? This has been the year of who are you and who do you think you are. I’m Sheila Nortley. Writer. Producer. And a Managing Director of Kingdom Entertainment Group. I am also a daughter, a sister, a friend, a niece, an aunty, a cousin, an enemy, a mentor, a mentee, a believer, an unbeliever, an entrepreneur, an employee, a contact, a fan, an ex, a partner, a memory of a smile from a random stranger passing, a sista, a human, a queen and a slave depending on the transcience of context and perception. Here and now, in this context, on your browser, I’m assuming the honour of being the guest writer for the final British Urban Film Festival blog of 2011, yet it’s ironic that I’ve been asked to write this blog as I don’t really like to talk much. I’d like to think I’m of those who’d rather do. I do, until I have little time left to be. And then I be, and in that time I do not like to do. Whilst trying to find the balance between doing and being, what time is there really to talk? And then, Jacob ping’d me. His BB status said: “why am I fighting to live if I’m just living to fight”. For those of you who don’t know, it was the conversation I had upon meeting Jacob in the park in summer 2010 that inspired me to embark on a venture which consumed my time, my mind, my resources, my energy and my heart throughout 2011. My film, Zion. We met by ‘chance’ in the park – what I know to be the undeniable poetry of the One who knows all things and His eloquence with time and destiny. Jacob was a sixteen year old boy with a seemingly broken hand, who was scared to go to the hospital because he’d seen so much death there. A boy who had been labeled with ADHD since he was 4, yet spoke with the softness of a broken boy with a gentle soul, or a gentle boy with a broken soul – one or the other. A young man who, when asked where he saw himself in 10 years time, said to me: ‘To be honest with you, Miss; I don’t.’ One day, 6 months later, a script was written, and a beautiful cast and talented crew produced a short film called Zion. Jacob was supposed to attend the premiere but he didn’t. I asked him what was wrong and he replied: ‘Had a madness. Dere’s guna b a prob dis tym tho…’ We spoke a bit more, and I felt so useless; I asked him if he could ask God for one thing what would he ask for and he said ‘To hurry up n end it. Big man ting. Jus feel 2 give up’. This is a boy that on a dark night, if he rolled up to you on a pushbike with his hoodie down low, would frighten you – here he was telling me how vulnerable he is. I lament for all the victims, misrepresented as the villains – even those who become villains at the torment of their very nature. If you don’t see the value in your own life, or your purpose for living, the consequences could be dire – you don’t have to be a young black child growing up in the estates of South London to know this. We can all relate to this one way or another. At some point, we have all doubted our value, and deviated from our purpose [if we ever knew what it was]. Wow. He confided in me that he wished God would end it all. That hurt. Then my thoughts turned to the inTOUCH youth event that the team behind Zion held just before our glittery premiere. It was set up for the young people to speak up and have an open forum with Ashley Walters, Jaja Soze, Rashid Kasirye, Dexter Simms etc, watch some films, and some performances and just vibe. Wow. What an unruly group we had. Some of them were so disrespectful, talking over speakers, talking over the films, fighting, arguing to the point that security had to get involved. …But wait, this is for you. Why is it so hard for you to accept this small gesture? Perhaps it is so unfamiliar to you that you do not know how to respond to love? If you don’t see the value in your own life, or your purpose for living, the consequences could be dire. If you don’t respect yourself, how are you going to respect anything else? InTouch was, to be honest, a bit of a nightmare – let’s keep it real – like, it was a nightmare. BUT this simply illustrated how much attention the youth crave and confirmed that the film was necessary. The Premiere event followed – I couldn’t have asked for more. The film was well received. Reviews have been excellent; better than I could have hoped. Who for a minute underestimated the minds of the masses and thought that spoonfeeding us mind-numbing rhetoric day in day out on mainstream TV, would cause us to forget the sweet delights of independent cinema, in all its’ rugged imperfect and beautifully raw glory? To every single person that came and understood the film, I thank you and celebrate you daily. There were so many people behind this production and so much inspiration drawn from so many more people. And, as a self-confessed Ebenezer Scrooge who denies many of the festivities of this season, who else would I celebrate? I’d celebrate the writers whose plays this year moved my mood like the moon controls the waves; Arinze Kene and Beau Willimon. The people I’ve worked with all year; Najan, Duane, Abiola, Daniel Bailey (you know its a powerful brother when you can’t mention an individual without including the surname), Sebastian Thiel, Aisha of Red Pepper Agency. Thank you for putting up with the idiosyncrasies of a mad scientist – I hope I’ve made it interesting for you. And of course, Miss Kyle Frye and Shomari Brown: the future of black British cinema whose talent has found that perfect balance between refinement of the craft and raw talent. Ryan Samuda, my director and friend [thank God we’re still cool after this film] and the entire Zion team. I respect the inspirational entrepreneurs I’ve met this year like Dexter Simms, Ismael South, Raymond Douglas – inspired visionaries that build and strive day in and day out for the people and not just for material gain or status. I respect people like my dear friends and mentors, Stephen Lloyd Jackson and Andy Mundy-Castle. I respect people like Richie Campbell, Sway and Ashley Walters who have managed to stay so grounded, down-to-earth and humble despite their massive success and achievements, actors and artists who have refined their art with mastery, and not at the expense of their sense of humour and good manners. I respect people like Jahnoi Cranston and Alesha Pryce, who love their art and work hard to achieve their dreams and have an impact in whatever piece they are working on, and do so with a smile. I respect people like Kamara Bacchus and Dionne Reid and Anisa Kissoon, who are smiling high-achievers with such grace and elegance and inspiring other sisters to dream big and never lose themselves. I appreciate and love my mum and my dad who put up with this black sheep through thick and thin, in sickness and in health, and taught me to follow what I believe in. My family is the best and without their support, I’d have nothing to celebrate. I would like to celebrate the British Urban Film Festival for providing a platform for us to present the fruits of our labour for public scrutiny, praise, constructive criticism and thought-provoking discussion. I was greatly humbled that this year I discovered by chance that I had 3 films I worked on accepted in the festival (David is Dying, Special Delivery, Drink, Drugs & KFC). Had Zion been ready earlier it would have been four, but I stubbornly refused to hasten the process, advised by wise words from Wil Johnson at the Screen Nation nominations launch by the bar. Emmanuel’s kind words and support for me this year have been so encouraging. Thank you Emmanuel and also to the stunning actress Anjela Lauren-Smith, who is often seen with him. Thank you Anjela. And as we celebrate together we give all thanks and praise to the One to whom it all belongs. The final curtain is drawn as we enter the last few weeks of 2011 and the energy at the moment is buzzing with anticipation as the promise of 2012 draws closer. As the world gets crazier, some aspiring filmmakers are zealous with drive and passion, and others crazed with an unquenchable thirst for prestige and power, success and fame. With the social entrepreneurs building new doors to previously inaccessible pathways, and the game-changers marching into the brick wall (which used to seem so high and wide and solid before) brick by brick it crumbles away and the army begins to march through, together, to a triumphant fanfare. Together, as romantic as it sounds, seems to me to be the only way to progress. Competing with anyone would suggest that I think success is much more dependant upon my competence and determination than it really is. I’m not saying that I don’t work really hard, but I know Who gives and Who takes away. Everything is written. So I just do the best I can and try to trust Him. Yet, I have seen ego drive people to the point of loneliness, paranoia and writers block. The concept of all three frighten me. (You need to be open to bring anything into being) It’s nearly 2012. Time has flown by like a jet-fighter and whether or not you entertain a conspiracy theory or two, or have any religious inclination indicating the dawn of a terrifying New World Order, then you will at least know this: by the time you have finished reading this you are closer to your death than you were before you started reading this, and let this undeniable fact encourage you to make the most out of every second and every opportunity to achieve true success in this life and the next. So that was today’s message – just when you think you had nothing left to say, remind yourself of all that you are grateful for and give thanks for what you have been blessed to achieve so far. And just when you think you had nothing left to say, remind yourself of how much work we have yet to do and how much further we have to go to honour the struggles of those who came before us and prepare the way for those who are yet to come. In the words of Kelis: Learn from losing, Cherish winning. (C) Sheila Nortley/BUFF Enterprises. All Rights Reserved. From Top Boy to Wuthering Heights, the much vaunted and much celebrated prominence of cultural diversity in British film and TV shows no signs of abating and continues to rouse and excite cinema buffs both here and abroad. In a month which has already seen Sket, Demons Never Die & Death in Paradise entertain the masses, there is much to take in – including yet more awards for David is Dying; introducing the newest member of the BUFF board, journalist and filmmaker Jessie Grace Mellor; and not forgetting the latest James Bond title as the year draws to a close. Much has already been said about Top Boy – most of it true. Ultimately, one does feel that with each re-invention of the wheel, there must be other kinds of stories that can do the job of re-inventing the wheel much more potently. For the million or so viewers who stuck with it over those 4 nights of primetime, it will be very much a case of ‘same again’ with news this month of Channel 4’s re-commission of the drama in 2012. Perhaps the answer lies back to the future as seen with Andrea Arnold’s re-invention of the Emily Bronte vehicle Wuthering Heights. Comfort can be taken in the case of David is Dying and Sus – 2 films to name but a handful for whom ‘re-inventing the wheel’ has paid off with a raft of awards and critical acclaim to boot. Needless to say, BUFF has always been at the forefront in terms of re-inventing the wheel and championing the very best in urban independent cinema. In addition to awards for messyrs Stephen Lloyd Jackson & Clint Dyer, the last 18 months has also seen success for other BUFF filmmakers including Wil Johnson, Mawaan Rizwan, Ida Akesson and Rohan Green. In November 2001, 3 ambitious young Londoners embarked on a special mission. They had each been shortlisted from thousands of talented young applicants to take part in a first-of-its-kind UK initiative bringing together some of the hottest young creatives in film and television. The destination – Belfast, the initiative – The Cinemagic Unlocking Talent Awards – a unique 4 day boot camp consisting of masterclasses conducted by the industry elite. Think Big Brother, meets The Apprentice with a dash of The X Factor. All the candidates had one objective in mind – to win an award in their category. For the majority of hopefuls – this was not only their first taste of ‘Hollywood’ but a real opportunity to stand out from amongst the crowd and be noticed by the people who mattered. And if ‘being noticed’ was a special category on the final awards night, each of the Londoners would have been nominated. From special appearances on the regional news to opinionated discussions in hotel receptions, positively getting your point across became a London thing. I remember witnessing a celebrated film producer at a full capacity Q & A session being probed about why his film (which was shot in West London) did not include any ethnic minorities. Alas, no awards went back to London on that visit, instead, lessons learnt, pacts were made, and a lot of free alcohol was consumed. 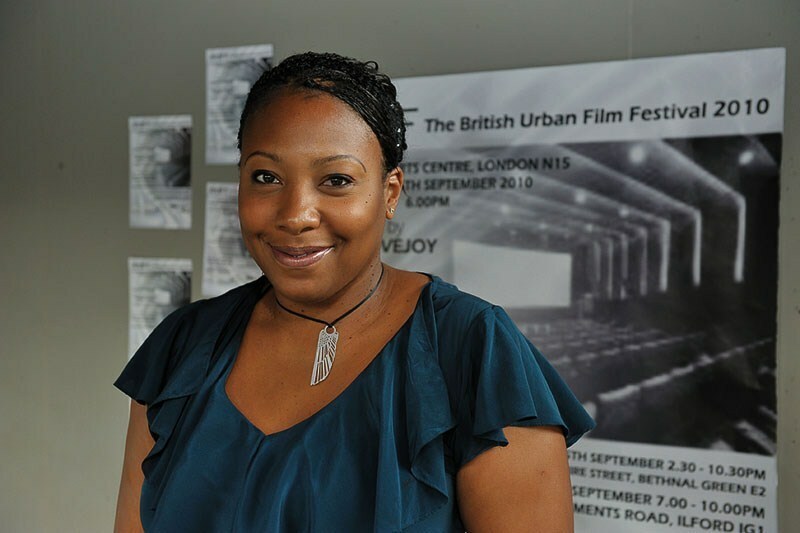 10 years down the line one of the Londoners is the founder and director of the British Urban Film Festival – the definitive festival for the best in UK Urban Film. The other 2 are creating shock waves in film and television. I remember Emmanuel calling me several months after our Belfast experience to tell me that he was the festival Director at the bfm (Black Filmmaker Magazine) International film festival. He asked me if I wanted to help out. I asked him how much he was going to pay me. He replied ‘I’ll pay for your petrol’. And that was pretty much the beginning of a beautiful working relationship. To be honest, it was never about the money and for someone who initially wanted to work in front of the camera, being introduced to film via the bfm international film festival was truly a defining moment in my career. What does it take to be a festival director? Total commitment to the cause and real passion for film. I’ve had the privilege of working with Emmanuel from his early days at bfm to his current at BUFF. He is undoubtedly one of the most focused and driven individuals I know in the game so when we sat in my car that evening 7 years ago, going through countless acronyms (BIFF, BAFF, BOFF, BAFF) I never had any doubts about the British Urban Film Festival soon becoming a reality. I’m proud to say I was there at the Eureka moment. I’m proud to say I’ve been there to watch the festival grow to become a major highlight in the UK film calendar. Last but not least, I’m proud that through all adversity, BUFF 2011 was the biggest and most successful festival to date. As a film-maker, I’ve been on the receiving end of the BUFF hospitality when my film ‘Stick With Me’ premiered on the opening night of BUFF 2009. As a BUFF board member I know about the hard work that goes into making each festival happen year after year so I have to give props to the dream team for the way the festival was executed this year. They say sometimes in order to move forward you must look back. Well 10 years ago, 3 ambitious young men from London shared an experience which positively encouraged them to shout even louder to be noticed. And It’s in this same vein that BUFF continues to reach out to film-makers all across the UK to bring to you the best offerings in Urban Independent Cinema. BUFF has showcased close to 100 films (and counting) and has created a viable platform for UK Urban Cinema. And with technology becoming more and more accessible, and more film-makers producing great independent films, its’ even more important for festivals like BUFF to keep doing its’ thing. If you haven’t heard of Manorlogz, check it out. The UK’s premier Spoken Word Showcase will be making some big boy moves in 2012. Look out for the launch of my new show Quality Control – A ground breaking music show with a twist. Look out for the launch of 4frontTV – our new online entertainment platform. On a personal note, I’ve always said to Emmanuel that with the amount of time he spends watching films, isn’t it time he made one himself? ???? (C) Bernard Kordieh/BUFF Enterprises. All Rights Reserved. Online, on-air and in person, this is BUFF. And so said the voice of BUFF which greeted the masses of online followers with the May 31 announcement of this year’s opening feature. And though the dulcet tones of Ewan Allinson and DJ Elayne Smith will continue to form a cornerstone of the BUFF movement, things are going to be a little bit different round here. From September, the 2011 British Urban Film Festival will be coming at ya with a whole new look which means, finally, that the buffest film event of the year will be upon us. New films, New venue, same old BUFF – continuing to deliver the UK’s buffest films as it has been since 2005. And as it was back then – from ITV’s headquarters on the South Bank, to this year, from the TUC’s headquarters in Tottenham Court Road – the latest edition of the annual showpiece continues its tradition of reaching out to new audiences, year in, year out. As part of last year’s 5th anniversary festivities, BUFF announced that it was going on tour, taking the festival to towns and cities across the UK. And as we enter the next 5 years, globalisation beckons. With British actors, directors and exhibitors making their mark in North America, the Caribbean, West Africa, and Central Europe, BUFF will be there at the heart of the action, reaching out to welcome more new audiences all the time. This month’s edition of the BUFF Blog takes us back to last summer when the festival was contacted by Daniel Buckley, the curator of ‘C the Film’, part of the Edinburgh Festival Fringe – the world’s largest arts festival. First established in 1946 as an alternative to the Edinburgh International Festival, the Fringe takes place in Scotland’s capital for four weeks every August. The Fringe mostly attracts events from the performing arts, particularly theatre and comedy (which has seen substantial growth in recent years) although dance and music also figure significantly. The role of the Fringe Society (the organisers) is to facilitate the festival, concentrating mainly on the challenging logistics of organising such a large event. Ultimately, the society exists to honour the wishes of the participants, to promote them collectively to the public. Early administrators of the society were adamant that it did not come together so that groups could be invited, or in some way be artistically vetted. What was performed and how it was done was left entirely to each Fringe group. This approach is now commonly referred to as an unjuried festival, an open access arts festival or a fringe festival. The film industry has, and I suspect always, will be a difficult beast. It at once screams big business – the establishment, Hollywood, obscene amounts of money – yet it is also traditionally considered to be politically very liberal; consider films like Milk and M.A.S.H. As well as this, film is considered, and has been since the ‘70s, an art form, just as worthy of study as poetry or painting. Yet, even with this political and artistic diversity, genres are all too easily pigeonholed and formulaic, which can damage genres massively. It might be fair to say that this is becoming the case with ‘urban’ film as well. Yet urban life is nebulous, fluctuating from one extreme to the next. The British Urban Film Festival understands that it is this nebulosity that makesBritain’s urban sprawl such an exciting subject for film. I first came into contact with BUFF while curating the C the Film festival at the Edinburgh Festival Fringe in 2010 where we did special showcase days of other film festivals from around the country. I remember thinking I knew exactly what to expect when I sat down to watch the DVD’s Emmanuel had submitted, and as such I was surprised to see exactly what I had been given. BUFF is unique in its specialist interest in urban filmmaking, and the films we showcased on their behalf took in everything from straight-up drama to social satire to science fiction, all the while never losing sight of the real world and its’ issues that the stories they tell sprang from. Having been snowed under with short films in the preceding weeks, I was also pleased to see a brave predilection amongst BUFF’s selection for longer form short films, a rarity for even the most accomplished amateur filmmaker. These films added a new, rawer dimension to the films on offer at C the Film, which already counted Cornish dance and Scandinavian comedy amongst its offerings. I’ll try not to dwell for too long on what has gone before, but the best way to understand BUFF is through some of the films on show at Edinburgh last year. Virus (dir. Kole Onile-ere), was a surprisingly abstract sci-fi short about a dystopian future, expertly executed with a slow-burning sinister fear at its heart. Ominous Thoughts(dir. Tyrone De Grosvenor) was another sci-fi offering that had a terrifying air of inevitability as the characters hurtle towards a future that they cannot control. Colour Blind (dir. Amanda Baker), one of the funniest films on show, took a look at race relations with some very clever use of colour to visually portray racial stereotyping. The wittily titled Much Ado About a Minor Ting(dir. Jesse Lawrence) while more conventional on the surface, mixed edgy humour with heart-stopping action. Fresh Off da Boat (dir. 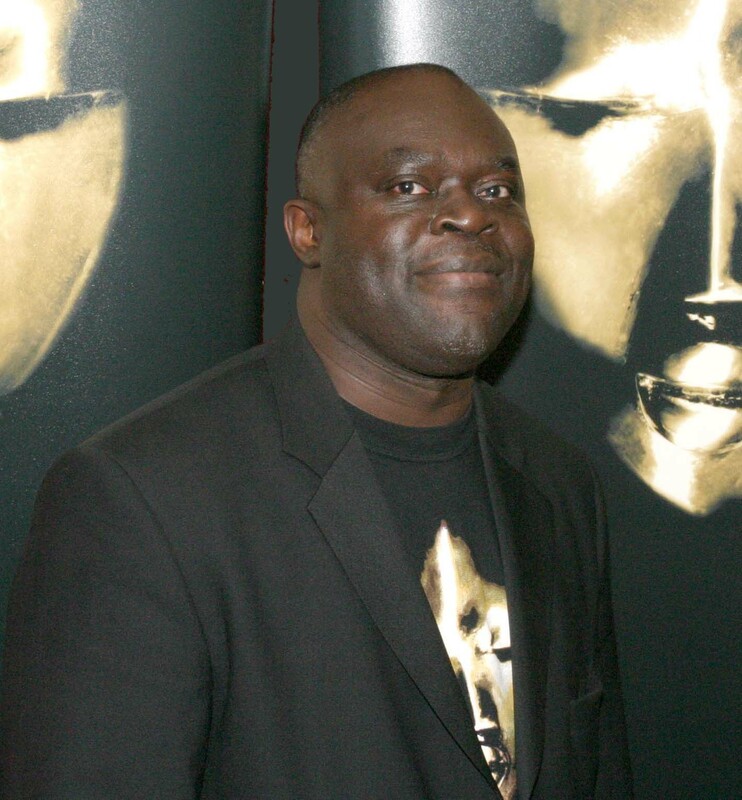 Femi Oyeniran), one of the most accomplished films on show, managed to make the story of a young immigrant boy funny, heart-warming and sad, while Brothers (dir. Diane Musafiri) not only examined issues surrounding single parenthood, but also the emotional pain that can surround them. Still Life (dir. Nelson Sivalingham) was a refreshing change of pace – a modern Asian ghost story that addressed the delicate subject of gang violence. And as I think this little playbill shows, BUFF may well limit itself to ‘urban’ films, but there is literally no limit as to what ‘urban’ can mean. Urban can be sad. Urban can be funny. Urban can be exciting. Urban can be weird. Urban can be whatever it damn well wishes to be, and no one should try to tell it otherwise. (c) Daniel Buckley/BUFF Enterprises. All Rights Reserved. **C venues has a festival team of 180 people and is based in northwest London excluding July and August, when it is based at Adam House, Chambers Street, Edinburgh. For many people, British urban cinema came into its’ own with the premiere of ‘Adulthood’ on June the 20th 2009. 2 years on, the genre has now spawned its’ first spoof with the cheekily titled Anuvahood. It was at the Adulthood premiere when BUFF first caught up with messyrs Aml Ameen & Kamara Bacchus. It wasn’t your standard red carpet interview. Such is the beauty of the English language that a word can mean so many things to so many people – let’s just say the word BUFF was used in a completely different context!!! The Idea behind AmeenDream Entertainment had been a long-standing idea and dream of Aml’s for a while. It wasn’t really until ‘The Pick Up’ came about, that everything really started to fall into place. THE PICK UP was initially a script presented to Aml by a student of his drama school ASA (soon to be AmeenDream Entertainment). It was this script by Najan Ward (who went onto produce it) that really put the wheels in motion; it was exciting and vibrant – just the right tone of film that was needed to be our first project. And so Aml and Najan had many meetings regarding how it would work. I eventually came onboard one evening when we had the initial script breakdown at a restaurant called ‘Los Toreros’, and it was literally the 3 of us sitting in this Spanish restaurant secluded from the busy streets of London planning and plotting how we could make this film amazing and inclusive of all the best ideas we had. 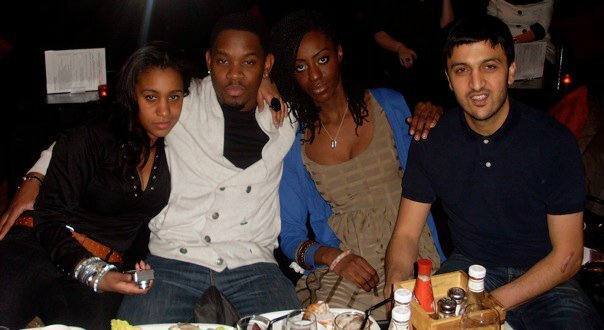 It was important to Najan that the film was supported by an upbeat club soundtrack – an element that was new to both Aml and myself. THE PICK UP follows two 20 something socialites Jay (Najan Ward) and Adrian (Aml Ameen) on their quest to win the attention and possible one night-stand bed posts of feisty university club queens Roxanne (Elizabeth Kostantino) and Hannah (Amy Connery). The adventure turns sour when the boys’ squeaky- clean mate David (Sam Underwood) sticks his nose in. With fast-paced club action and slick dialogue set to the backdrop of popular House music, THE PICK UP is set to capture the magic of nightlife in London – the greatest city in the world. Everything was a bit of a blur from this point on, there were many casting sessions, I think they saw in excess of 100 actresses for the roles of Roxanne and Hannah – it was crazy!! It was literally a case of divine intervention during the later stages as everything kind of fell into place by accident. Elizabeth Konstantino was a favourite for Roxanne from pretty early on; Amy Connery was a wild card that came in right at the end shortly before filming – their chemistry just lifted everything off the page. The same can be said with Sam Underwood – he rose to the challenge and was an actor that Aml had spotted in another short previously. Sam subsequently would sign up to play David – with ease and style as it turned out – and just like Aml thought he would. Looking back, the cast of THE PICK UP was very impressive and diverse, and gave AmeenDream a group of actors and perhaps more importantly, access to a group of willing and lovely human beings who we would continue to work with throughout the next three projects. One of these amazing human beings as it were, was Sheila Nortley – an award winning short film producer (‘The Hydra’ – BUFF 2008) who humbly came on board as an assistant. I guess I worked with Sheila the most on THE PICK UP as we both were running around trying to keep everything in place. We had in excess of 250 supporting artists who all came down for nothing, just to be there… amazing (There are so many people that need thanking on this journey). Ok, so after the successful shoot on THE PICK UP, the team was pretty much established: Aml – at the head of AmeenDream; Najan as his resident producer plus Sheila and I who would go on to claim roles as co-producers, working closely with Najan. SPECIAL DELIVERY is the story of a postwoman (Kamara Bacchus) who is bored of her life, and trapped in a mundane routine in which she wants out. When the possibility of a new route arises, this changes her path, and she finds herself led on a journey of adventure and an unusual love affair. This short film, written by and starring Kamara Bacchus (‘Dr Who’, ‘The Bill’), and directed by Geoff Searle (‘Madness in the first degree’), is a truthful insight into the sometimes monotony of life and how one moment or decision can change everything.SPECIAL DELIVERY was the only one out of the 3 films we would go onto make, that was written with the director in mind. I wrote the film all the time thinking that it HAD to be directed by Geoff Searle (‘Madness in the first degree’). He is just a genius and I knew that in order to get all of the shots I had written (and specifically envisioned) – we had to use Geoff. I mean there was a shot in particular where the camera goes through the letterbox and, continuously, into the film – with no cut – and Geoff just said ‘Yeah I can do that’ and there was no problem. So I sent him the script, he was excited and confident about the writing, and so I got more excited. Najan and Sheila organised everything in a day. Aml took on the other acting role and there we were on the set of our second film – SPECIAL DELIVERY. With the confidence of two shorts under our belt, Aml had this idea that whilst he was in America that we had to make another one… This would turn out to be the most ambitious of all the projects. ‘Drink Drugs and KFC’ was initially a feature film script that Aml had written a few years back. This script was now to be adapted into a short with Aml ready to direct on his return from America – over Christmas! There were so many challenges involved in scheduling a film over the Christmas break but it all worked out – and more than perfectly. DRINK, DRUGS and KFC explores the dynamics of friendship between a group of young boys growing up in London. Comical, yet heart-warming and real, we watch young Nathan and his friends Max, Derek and Skipper head to an under-18 rave. Cue drama, jokes and fights all in the name of teenage bravado and hopes, impressing the most popular girl at college – the beautiful Montana. The night takes a turn for the worst when Skipper’s ticket goes missing and in their desperation to get into the club they end up pocketing the ticket of Gamu Simpson, the younger sister of two local bullies Jimmy and Jason Simpson. As an introduction to the feature film, ‘DRINK, DRUGS & KFC’ sets the pace for the fun and often humourous fond memories young people share growing up in London. Initially Aml and I were both based in America – Aml was working on his show ‘Harry’s Law’ and I had gone out there to follow up on auditions and meetings. Long story short I came back to London and helped Najan and Sheila with the task of producing the film. We really wanted to cross new boundaries with this film and we used it as a way of learning how to make a feature as the film was running at about 25 minutes long. It was a long casting process – we had 7 lead roles to fill! Not to mention a number of minor roles to cast – we ended up auditioning actors for a total of 7 weeks – 6 hours at a time. Without going into too much detail, we ended up with such a stellar cast. Everyone gelled and worked hard. We looked into other areas on this project – we had PR companies wanting to work with us and propel things further (with just the 3 of us in London at the time)- going to meetings and producing the film, casting the film, catering the film, interviewing DOP’s and editors etc. Essentially it was all the work of a feature film in a short. I mean it was such a testament to us 4 as individuals and our strengths of character – obviously real life was still co-existing alongside this particular film. We had to encounter sicknesses in our families in addition to life testing situations – but the show has to go on because there’s no one else – just us 4. I think its’ this attitude that we’ve all put in to our work at AmeenDream that has shone through – especially at the pre-press screening we organised at BAFTA (which we are still reeling from). To be honest the amount of work that went in to it was just like another film… it would not be wrong to say that the screening should earn the title of our fourth film! The dedication, hard work and love that the 4 of us have for each other – is so real because we’ve lived each others’ lives throughout all the projects. We have produced successful work – and I say that boldly and confidently because I know that we started as outsiders; as just actors with a bit of knowledge. We have turned ourselves into a machine – we work hard, we seek to learn what we do not know and we provide opportunities for new and established actors alike to be part of a fun community. We actually filmed another short the weekend before the screening (though we had all agreed to rest). I just came onboard as an actor on this occasion, and it was great. So it’s something else to look forward to as well as the 2 feature films we already have planned for the summer – and so it starts again! (c) Kamara Bacchus/BUFF Enterprises. All Rights Reserved. Some people call it a newsletter, most delete it from their inbox, others try to emulate it, and for the rest of you – well, going online isn’t quite the same until you’ve received it… its’ the BUFF Blog!! !Until recently, most BUFF blogs were written by the BUFF ghostwriter. In the 2 years since the advent of the UK’s 1st ever film festival monthly blog, a variety of voices from the world of film and TV have been invited to offer their own unique voice on the industry by which they make their name and their living. This month’s edition is guest written by an Oscar award winner no less (albeit by association) and arguably one of the busiest men in the business. It was during the FIFA World Cup last summer when BUFF was fortunate enough to have asked actor Wil Johnson when would be his next day off such was his demand at the time – and continues to be. The day in question just happened to be that very day itself – a day England football supporters would rather forget – and sure enough, that match was soon forgotten and in next to no time, we were discussing Wil’s ideas to pen a script for a cop drama whilst tucking into some delightful king fried prawns. Greetings! This is my first blog! Never written one before, but as they say, there’s a first time for everything. What an interesting last six months people, lots of changes, developments and potentially really interesting projects on the cards!!! I first met Emmanuel, the man behind BUFF a few years ago and found him to be a sound brother with integrity…Something that is very rare in this business. A person prepared to go out on a limb and make a difference…For that I salute him. I approached Emmanuel with a film that I had co-produced and starred in called ‘DISORIENTED GENERATION’ which he very kindly screened at the BUFF festival back in 2009…Since then I supported and attended various screenings of the BUFF Festival in 2010. Right! What’s been happening with me since then???? Fortunately quite a lot…. 2010 was a brilliant and busy year filming WATERLOO ROAD, WAKING THE DEAD, ANUVAHOOD and the provocative new feature THROW OF A DICE hitting our screens later this year! Phew! WATERLOO ROAD was well received and went onto win the NATIONAL TELEVISION AWARD for Best Drama series 2011, WAKING THE DEAD is being aired to huge appreciation nationwide, and to cap it all, a Danish feature I shot in Kenya 2009 Directed by Susanne Bier called IN A BETTER WORLD went onto win the GOLDEN GLOBE and OSCAR for Best Foreign Film 2011!!!! Not bad for a boy from Tottenham eh???? Right across the board film makers young and old are opening up their laptops and writing!!! Getting things together…Young blood Ashley Chin has a feature coming up this year – VICTIM – hopefully we’ll see this film hit the cinemas this year. Q, a legend, released the very brilliant DEADMEAT on dvd this month and is in post production on his current feature – FEVER – which judging by the teaser clips I’ve seen so far is gonna be cooking with gas!!!! Well people, slowly but surely with the demise of the UK film council, independent companies are springing up and people are hiring those RED 1 cameras and CANNON cameras and getting out there and shooting!!!!! Looks like BUFF is gonna be busy this year with features flooding their gates…. (c) Wil Johnson/BUFF Enterprises. All Rights Reserved. No matter how many times BUFF ventures down to Soho to get entertained, the result is always the same. And no matter how you dress it up, January is almost invariably a month-long period of attrition, angst and apathy. So it seemed perfectly reasonable to expect a good time to be had when yours truly was invited down to Soho on a cold and wet Friday evening for a preview screening of ‘David is Dying’ – the debut feature-length drama penned, and produced by Stephen Lloyd Jackson and Andy Mundy-Castle. Needless to say, Friday nights in Soho rarely disappoint. One is reminded of similar experiences having recently seen Tyler Perry’s ‘For Colored Girls’ – a film which beautifully portrays its characters who all are ultimately f***ed up. Some people compare ‘Precious’ to ‘For Colored Girls’, ‘Precious’ is a better film. The labour of love that is ‘David is Dying’, though not quite in the same genre but very much geared at a female audience, is a quality film and carries more kudos in that although the plot is not entirely original, there is a freshness about it – and besides, the other 2 films are American and are based on adaptations. Previous BUFF blogs have observed the strategy, flexibility, diversification, call it what you will, of musicians and performing artists making the seamless transfer over to cinema and to that you can add our man Lonyo to the list. Lonyo dominates the screen as does his impressive female lead Isaura Barbe-Brown and in keeping with recent BUFF screenings – think ‘Sus’ just last year – we truly have another british urban classic on our hands. Without wanting to pre-empt the choices of the BUFF viewing panel – September the 3rd can’t come soon enough!!! One was reminded of ‘Sus’ recently when the nominations were announced for this year’s BAFTA’s. BUFF had high hopes of Barrie Keefe’s adapted stageplay making it onto the shortlist but alas, no cigar. Having seen Oscar-winning Danny Boyle’s latest, ‘127 Hours’, students of cinema will have noticed striking similarities if you’ve been fortunate to have watched both films – and yet ‘127 Hours’ is up for several BAFTA’s. And Sus? Well at least we have the network television premiere on the BBC to look forward to. And off the back of that, BUFF will be putting together a special programme featuring interviews with Clint Dyer, Ralph Brown, Anjela Lauren Smith, Rob Heath and Barrie Keefe. Watch this space for further details. BUFF can also announce that last year’s chosen online screenings which formed part of the festival – can now be seen in full via the BUFF website – many thanks to the filmmakers for their patience and support – it has been a while. That said, we’re delighted that audiences can now get a chance to see the depth and breadth of UK film talent that was on show at BUFF 2010 in addition to the other films that were showcased last September. This time a year ago, ‘Precious’ was the most talked about film in the industry, the year before that it was ‘Slumdog Millionaire’. On both occasions the hype was justified and they both duly obliged to pick up some very big prizes. At the time of writing, BUFF has yet to watch ‘The King’s Speech’ – and from all accounts, the people behind this will be making a fair few more in the weeks and months ahead if the Golden Globes are to go by, the Golden Globes being the self-appointed indicator as to what wins the big prizes at the Oscars. We’re not quite at the end of January but already, the die is cast for the year ahead. BUFF predicts that Justin Timberlake will walk off with an Oscar for his part in ‘The Social Network’. The Social Network was a big winner at the Golden Globes though Colin Firth did pick up best actor.